YO! 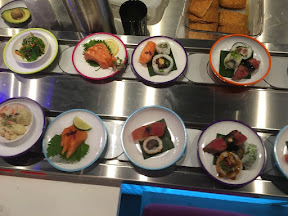 Sushi has launched a brand new menu along with flagship stores in Sydney, Paris, Boston, New York, London and the rest of the UK. 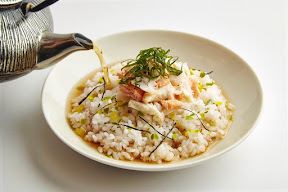 The 100-dish Taste Of Tokyo menu boasts authentic dishes and brings the restaurant chain bang up to date with all things cool Japan. 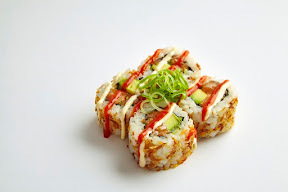 As a big lover of sushi and YO! 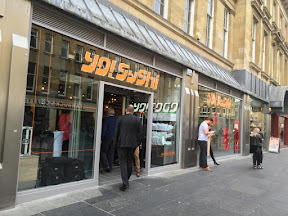 's conveyer (kaiten) belt which tempts diners by showing them endless streams of appetising grub, (veteran telly fans think edible Generation Game) the Showbiz Lion was thrilled to be invited down to the new Flagship store in Newcastle. Of course we're regulars at the Edinburgh Harvey Nicks store as well as the Buchanan Street and Silverburn stores in Glasgow but it's always nice to travel, especially to Geordie Shore land. 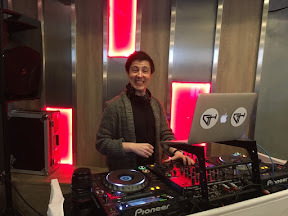 The store there boasts a flagship 69-cover restaurant on Grainger Street in the heart of the city, and the opening party was something else. Walking in, it felt like we'd just landed in Tokyo. Lovers could have been at the next table while K Poppers SuJu and bands like Baby Metal might have been in the booth opposite. The interior takes inspiration from the city’s unmistakable street culture and creative energy and features a slogan wall which runs the full length of the restaurant, capturing the essence of life in this unique, fast moving, neon metropolis. The food wasn't just raw fish - and our party got tucked into beef and numerous deep fried chicken wings as well as salmon, edemame beans and dumplings. Oh and there were cocktails and authentic Japanese beer too. 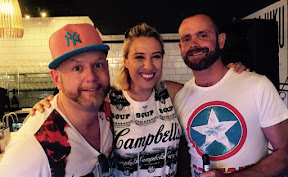 The opening party boasted a visit from Miss Newcastle herself as well as a DJ set from Let There Be House master of the decks Glen Horsborough. 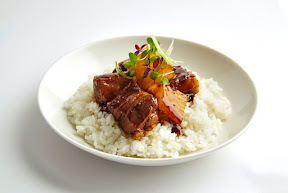 Founded in 1997, six million guests now dine in YO! Sushi every year, and the numbers are set to increase. We Gaijins (Japanese word for foreigners) were made to feel right at home and with a 'Wey Aye Man' here and there we soon got the party started. Okonomiyaki - Hot on the food scene in Tokyo, Okonomiyaki is a popular street food consisting of batter and cabbage served with a variety of toppings. Okonomiyaki translated into English means "As- you-like-it Pancake". Full of flavour, YO! 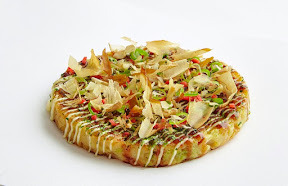 Sushi’s Okonomiyaki is topped with mayo, katsu sauce, spring onion, aonori, beni shoga & katsuoboshi.